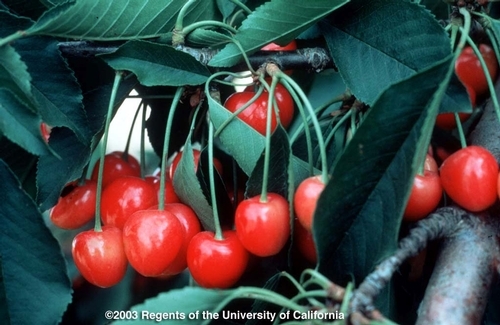 For a brief period each spring, cherries are available at several pick-your-own farms in Los Angeles County's Antelope Valley, mostly in the community of Leona Valley. Leona Valley is approximately nine miles west of Palmdale, and about 70 miles from downtown Los Angeles. Quite a few varieties of cherries are available, including Bings, Rainiers, Brooks and Black Tartarians. Cherry picking is currently underway, and it's a great family outing. This coming weekend, June 20th and 21st, is the peak of the Antelope Valley cherry season, so now is the time to plan your trip. Many of the farms have tables where families can picnic, so you can make a day of it. Some of the Leona Valley cherry farms also produce and sell other items such as honey. For directions and a list of farms, go to the Leona Valley Cherry Grower's Association website at www.cherriesupic.com/welcome.html . Be sure to visit Leona Valley before this brief, but sweet, season is over for another year.